Building on the release last week of a new Intel report that found “Making” can engage girls in computer science and engineering, Girl Scouts was proud to participate at a bipartisan Capitol Hill briefing focused on broadening the participation of girls and underrepresented minorities in the Maker Movement. Emily Sullivan, a 16-year old Girl Scout from Nation’s Capital, shared her personal experiences with STEM and Maker activities, and how much Girl Scouts has enabled her interests. While she was in middle school, Emily shared ideas about modifying the wheelchair for a friend with physical disabilities, intending to make it easier for her friend to participate in school activities. More recently, Emily spoke about how she enjoys attending the Advanced Space Academy camp over summer in Huntsville, Alabama with the Girl Scouts Destination program, where activities included electrolysis, creating ablative shields, filtration, and rocketry. Emily emphasized that every girl in her Troop is a maker and that Girl Scouts encourages girls to be “makers” with the variety of activities and badges they complete. 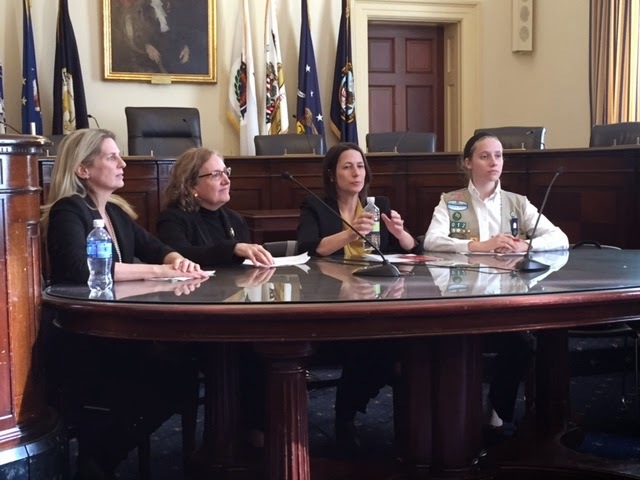 Suzanne Harper, Chief Girl Experience Innovator at Girl Scouts of the USA, spoke on the panel about the results of a pilot program conducted with five Girl Scout councils. In partnership with the Maker Education Initiative with support from Intel, the five councils recruited two young women to be Maker Corps Members. Those young women helped 4th and 5th graders do Maker projects at summer camp. Suzanne also shared an example from Girl Scouts of Kentuckiana , which has created MakerPlace, a dedicated STEM lab located at the Girl Scouts Louisville headquarters. The council has partnered with the Kentucky Science Center, who provides expert volunteers and through this partnership, more than 200 youth have attended Maker workshops in the past year. 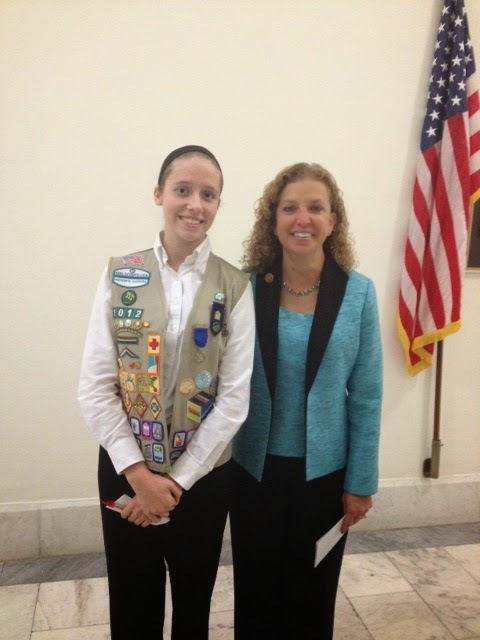 Congresswoman Debbie Wasserman Schultz (D-FL) spoke about legislation she has introduced with the Girl Scouts to engage more girls and underrepresented minorities in STEM fields, and her support for Girl Scouts as co-chair of Troop Capitol Hill. Congressmen Steve Stivers (R-OH) and Mark Takano (D-CA) who co-chair the Maker Caucus made remarks and the other panelists included Dr. Renne Wittemyer, Director of Social Innovation from Intel; Kylie Peplar, Assistant Professor of Learning Sciences & Director of The Creativity Labs at Indiana University Bloomington; and Maura Marx, Deputy Director of Library Services, IMLS. The Intel recent report, MakeHers: EngagingGirls and Women in Technology through Making, Creating, and Inventing, showed that girls enjoy do-it-yourself (DIY) projects and if they are engaged with making, designing, and creating things with electronic tools they will develop a stronger interest in STEM education. Anna Maria Chávez, CEO for Girl Scouts of the USA, provided a foreword to the report.